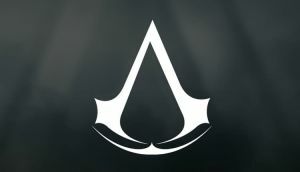 Assassin's Creed 2019 Heading to Greece | Nerd Much? Following the very successful launch of Assassin’s Creed Origins, it sounds as though details are beginning to emerge as to where the series is headed next. ComicBook.com is the outlet doing the sleuthing of today’s news. The site states that it has “started to intercept the first rumors about it from several sources linked to Ubisoft.” And those rumors state that ancient Greece is indeed the next game’s locale. Earlier in the development of Assassin’s Creed Origins, it was reported that ancient Greece would be a destination within the game. However, Egypt would still hold the narratives primary focus. It’s been suggested that Ubisoft decided to instead save Greece to make it a primary setting in itself. Thus helping to justify today’s claims. As is typical for the series, development is said to be taking place for Xbox One, PlayStation 4 and PC. There’s nothing to indicate a Switch version for any of the series’ games at this point. The reports indicate that full production began on the Greece based Assassin’s Creed back in 2017 as production was winding down on Origins. Ubisoft plans to launch the next entry in the series in 2019. It appears that Ubisoft may have learned its lesson from over saturating the market with the series. Following the mediocre reviews of Assassin’s Creed Syndicate, Ubisoft took a step back and put the main series on ice for a year. The publisher had been releasing console iterations of the franchise annually since 2009. It worked. Origins released to acclaim and reinvigorated interest and excitement in the series. It’s exciting to see what they can do with the ancient Greece setting when it hits shelves in 2019. But whether we get our first look at that sometime soon (E3?) or further down the line is still up in the air.